UC Walks is back! Get some exercise and boost your wellbeing Wednesday | Link: UCOP's e-newsletter | Stay Informed. Stay Connected. On Wednesday, May 16, UCOP employees in Oakland and UCPath employees in Riverside are invited to gather for the ninth annual UC Walks — a Systemwide WellBeing Initiative program that is coordinated by the wellness programs at each campus and health system. Events at both locations will feature lots of free wellness goodies, raffle prizes, fun group activities and of course an energizing walk with colleagues. 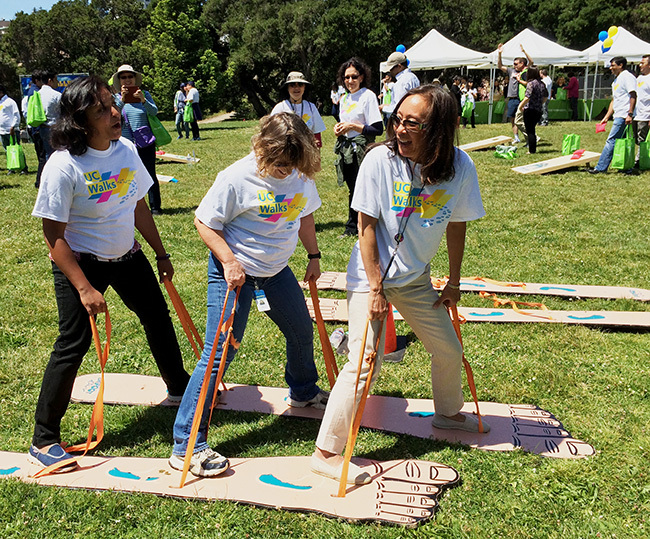 Meet at 11 a.m. to allow plenty of time for fun with your coworkers — healthy snacks (fruit-infused water, make your own trail mix and popcorn with fun and healthy toppings), giveaways (tote bags, sunblock, lip balm and more) and games (old favorites like the bean bag toss and big foot race plus new additions like trike races and the beach ball towel toss). Of course, every participant gets a free T-shirt, and early arrivals have the best selection of sizes. Lakeside Park (just past Fairyland), Lake Merritt — Take Grand Ave. to Bellevue Ave., turn right into the park and follow the signs and arrows. 11–11:25 a.m.: Games, goodies, snacks and socializing – enter to win prizes! 12:25 p.m.: Prize drawing. Must be present to win. Walks will begin at both 11:45 a.m. and 12:15 p.m. — choose the one that works for you. At the wellness fair, try out yoga and hula-hooping, pick up giveaways and wellness information from UC medical plan vendors, and take the perfect #UCWalks selfie at the selfie station. 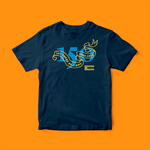 Free T-shirts will be distributed before the event — stay tuned to UCPath SharePoint for details. Share photos of you and your colleagues on Twitter and Instagram, using the hashtag #UCWalks (and #UCPathCenter for UCPath employees), and we’ll share them in Link after the event. Check out a photo slideshow of last year’s event. If you have questions about these events, please contact Jesus.Loo@ucop.edu (Oakland) or Erin.Warnock@ucop.edu (Riverside).